With permission of and many thanks to Naomi and Karen Fiss. Their mother was Gerda Barbara May, Siegfried's younger daughter. Over the years, she recounted her family’s history to Naomi and Karen. Helga Keller, the elder daughter of Siegfried May, wrote a memoir in 2013 before her death. It is with great joy and deep thankfulness that we can publish all this here on EchoSpore. 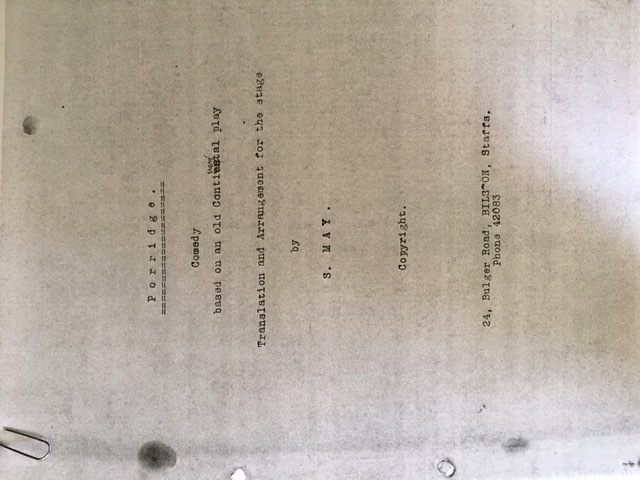 Siegfried May was born March 14,1880 in Darmstadt to Sigmund and Babette (geb. Vogel) May. He conducted the Darmstadt State Theatre Orchestra and wrote many pieces of music, including opera, concertos, as well as tango and popular songs. In 1933, he had a musical comedy accepted for performance at the Darmstadt Theatre, which served as a venue to preview productions for Berlin. In 1938 Siegfried May was arrested on the night of Kristallnacht and taken to Buchenwald. 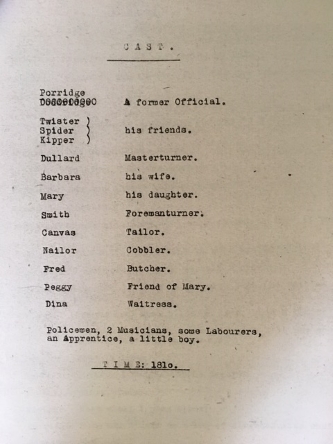 In early 1939 he was released from the camp, and in June of that year, emigrated with his family to England. 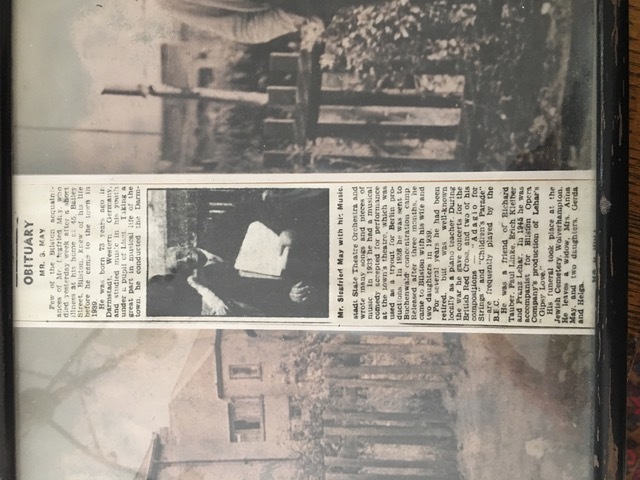 During the war, he gave concerts for the British Red Cross, and two of his compositions - “Adagio for Strings” and “Children’s Parade” were frequently played by the B.B.C. He was a friend of Richard Tauber, Paul Linke, Erich Kleiber, and Franz Lehar. 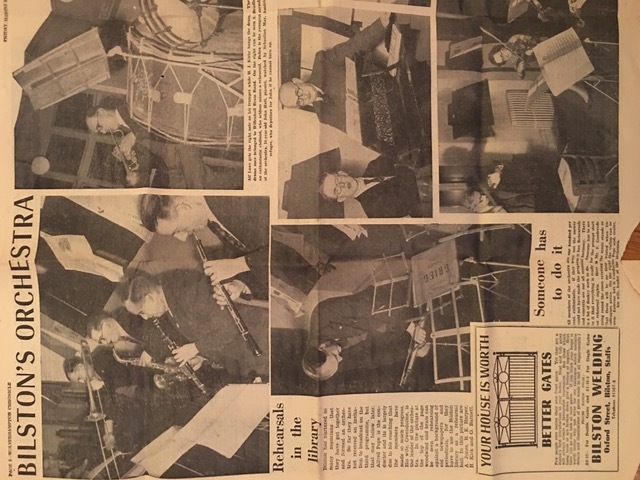 In 1945, he was accompanist for the Bilston Operatic Company’s production of Lehar’s “Gypsy Love.” He also conducted on occasion the Bilston Orchestra. 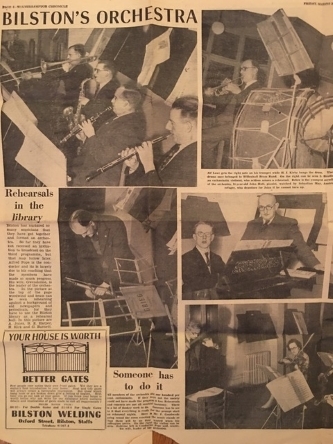 Siegfried May’s involvement with the Bilston Orchestra as a refugee in England. 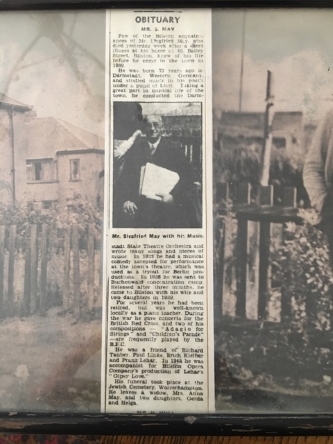 The article is from the Wolverhampton Chronicle newspaper, Friday, March 30, 1951, p. 5. Naomi and Karen have no documentation of Siegfried’s early life. They know he was a young musical prodigy, and studied under a pupil of Liszt. Gerda told them about his performances as a young boy and invitation to Russia. Siegfried performed for Archduke Franz Ferdinand when the Archduke traveled through Darmstadt, and was also invited to study music in Russia. Siegfried’s parents forbade it, and he remained in Germany. 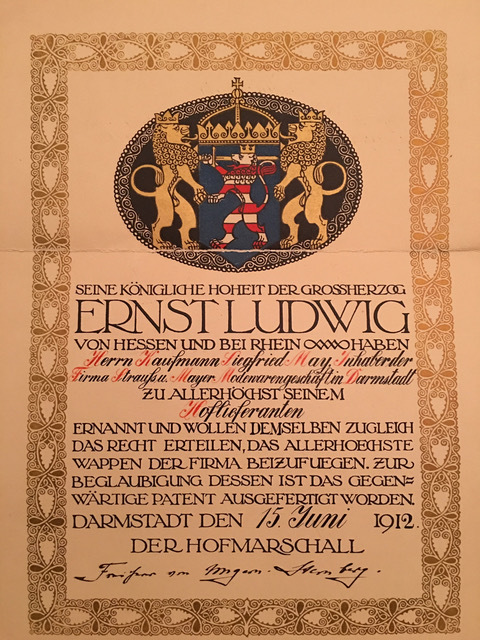 Presumably the invitation was connected to the fact that the Grand Duke Ernst Ludwig’s sister Alexandra (both grew up in Darmstadt), married Tzar Nicholas II. Gerda told her children that Siegfried performed for them. Siegfried married Anna Haas on April 29, 1920. Anna was a painter who exhibited in Germany. She studied with the painter Maurice Utrillo in Paris, but was forced to return to Germany from Paris at the outbreak of World War I. She returned to Paris numerous times for her art practice. Siegfried owned a textile business named Strauss & Mayer in Darmstadt by royal appointment that imported fine fabrics. The business was his way of supporting his family. Away from his business Siegfried May spent most of his time at his piano composing, often accompanied other musicians and gave music lessons. He smoked a pipe while carrying his musical scores everywhere. In Darmstadt Siegfried and Anna lived the life of an assimilated German Jewish family. Although Siegfried grew up in a religious home, he regarded himself secular, but paid his respects by keeping a few religious rites and played the organ at their synagogue. According to Helga's memoir, "Darmstadt prided itself on being the home of much cultural activity and my parents were part of the scene. I was brought up in surroundings where making music and the practice of art were a natural part of everyday existence. The walls of our home were hung with my mother's impressionist paintings. Nobody theorized about art, but my father told us a little about the lives of great composers and Utrillo and Cezanne were household words.” [Helga Keller, Farbig in Moll. Darmstadt-Berlin 1933-1939. Darmstadt: Eduard Roether Verlag, 1996]. Siegfried had a sister named Bertha May-Wurzinger (*1870), who was widowed at an early age and lived with the family in Darmstadt. She ran the house and was the one responsible for the celebrations of Jewish holidays, etc. She was highly musical and loved opera. She knew the music, the content and the lyrics of each opera and taught Gerda and Helga to become passionate about opera as well. Bertha was deported and died in Theresienstadt in 1942 (Siegfried was unable to get her a visa). Siegfried’s other sister, Frida, was deported to Gurs, France, but survived the war and ended up in England as well. Frida's husband and son died in concentration camps. Anna turned to a childhood friend from a distant, non-Jewish part of our family in the UK, and with financial help from another non-Jewish friend, obtained transit visas to England for Anna and Helga. Gerda, obtained a visa on the Kindertransport. Siegfried was sponsored by a family in London who's son, Gunnar Henriksson, had been a student from Sweden and had lived with their family after the Nazis took power. The family had taken in boarders out of financial necessity after the Nazi regime compromised their business. Helga and Gunnar stayed friends for life and her autobiography is based on their friendship. Just six weeks before war broke out, all four of them travelled to the UK in June 1939. 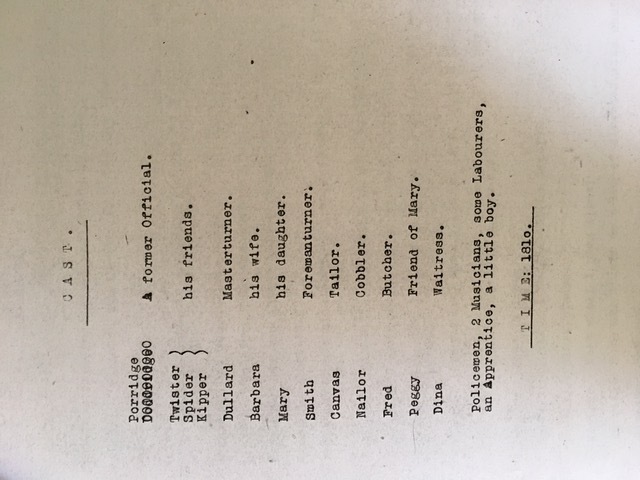 They had no money, but were given a simple house on a workmen's housing estate belonging to their sponsors in Bilston, outside of Wolverhampton. According to Helga, they "landed in the middle of the Black Country in unbelievably ugly surroundings, our windows faced the gas works and a landscape of coal heaps." Siegfried was later interned on the Isle-of-Man but soon released as a "friendly alien". Siegfried and Anna stayed in Bilston where they lived out the rest of their lives. Siegfried continued to write and play music, Anna painted. In Darmstadt and in England, Siegfried was an avid gardener and always had an allotment to tend to. Siegfried had a sharp sense of humor and was very devoted to Darmstädter dialect. 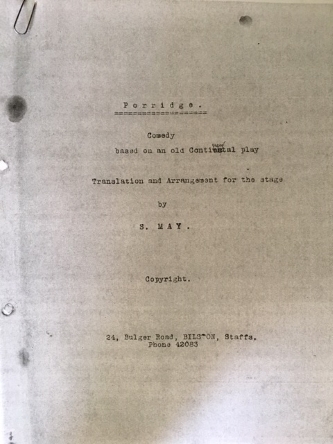 In England, he translated the regional play “Datterich" (“Porridge”) by Ernst Elias Niebergall into English because he missed his home culture so much. His English translation was performed at the Datterich celebration in Darmstadt in 2015 to mark the 200th anniversary of Niebergall’s birth. Siegfried died of heart failure in 1952. Helga and Gerda spent the war years in London. Helga eventually moved to Israel as a filmmaker in 1957 and Gerda moved to New York City. Naomi and Karen sent a recording of Siegfried’s String Quartet in G major. Helga’s then-husband, Mel Keller, was a well-known jazz musician in Israel, and he organized the performance as a birthday present for her. In the recording, Mel notes that Siegfried wrote orchestral music, marches, tangos, waltzes, as well as Leichte Musik.